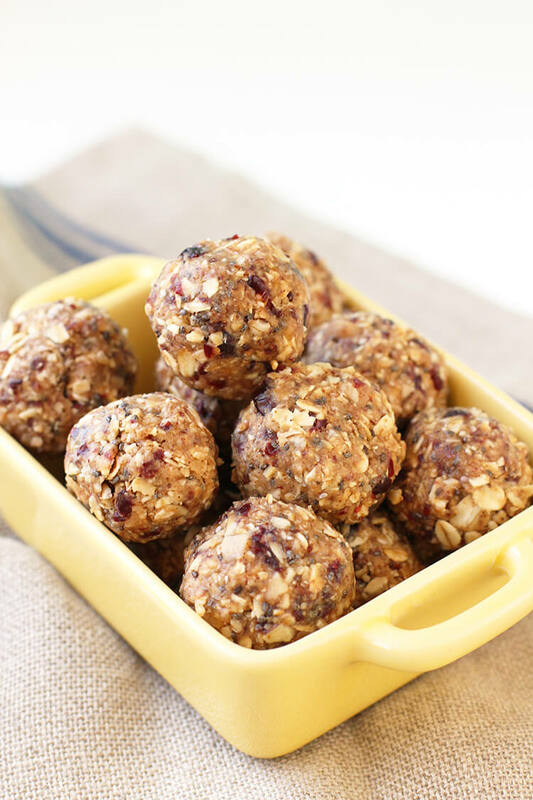 These Cranberry Almond Energy Bites are a quick & easy protein-packed snack – loaded with healthy nutritional ingredients to boost energy and keep you feeling full! 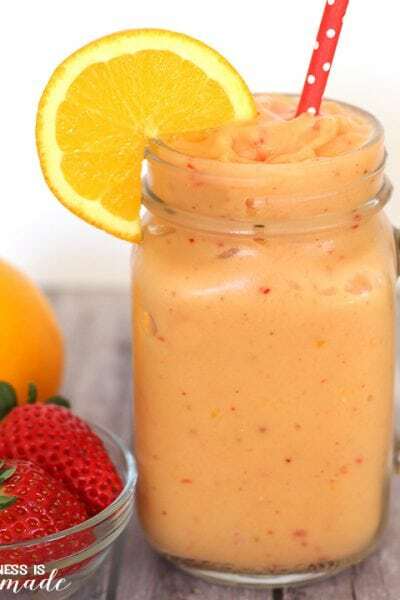 A perfect after-school snack or on-the-go breakfast option! 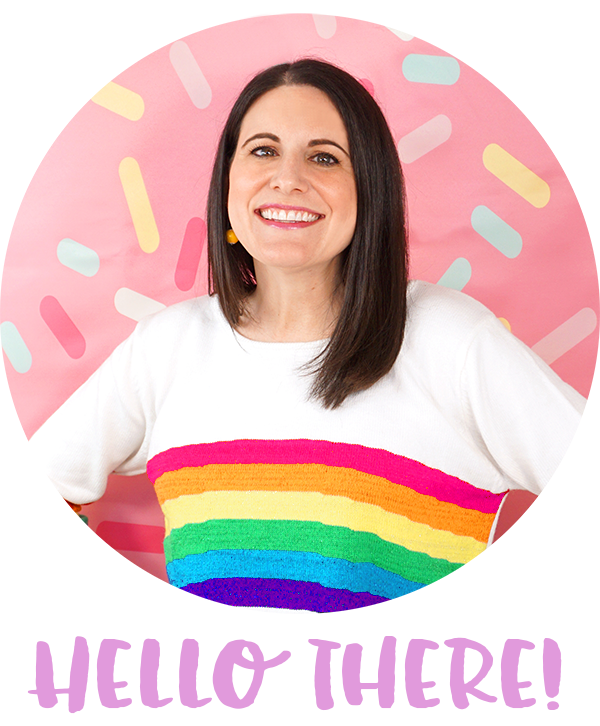 Snacking is always my biggest downfall when it comes to healthy eating, and in moments of weakness, I tend to find myself reaching for chips, crackers, and other unhealthy “filler” junk foods. 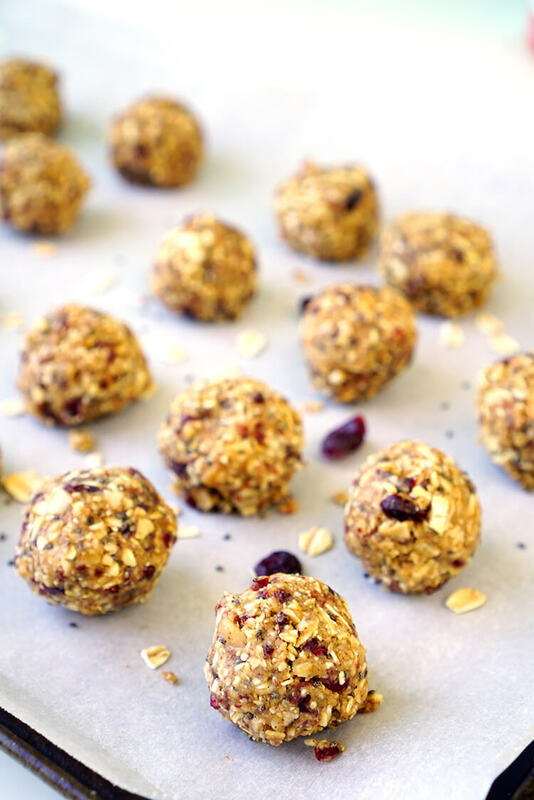 Since I’m heading to the beaches of Jamaica in just a couple of months, I whipped up a batch of these delicious cranberry almond energy bites so that I will always have a healthy snack within reach. 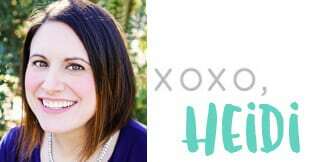 No more excuses to reach for unhealthy foods! 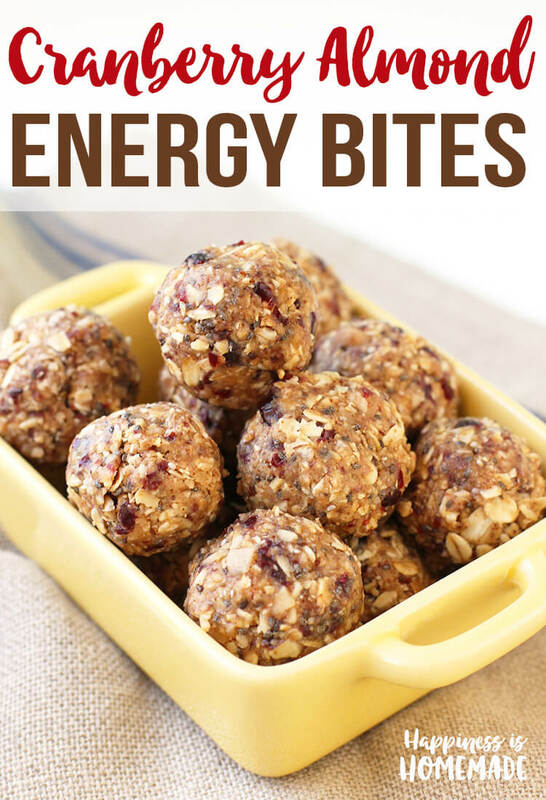 At only 105 calories each, these energy bites are packed with protein, full of flavor, and they really DO boost my energy while keeping me feeling full much longer than junk food does! 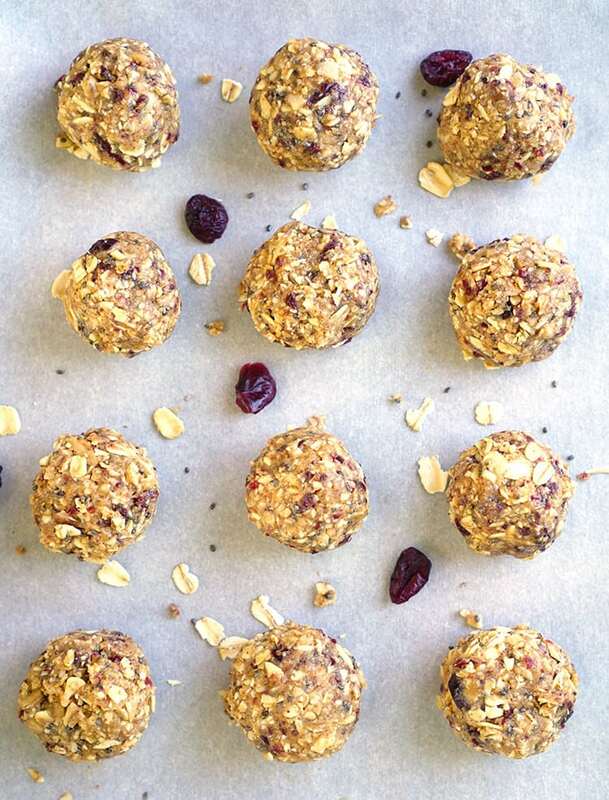 Almonds, honey, cinnamon, and oats all boast anti-aging properties, and cranberries are super high in antioxidants. 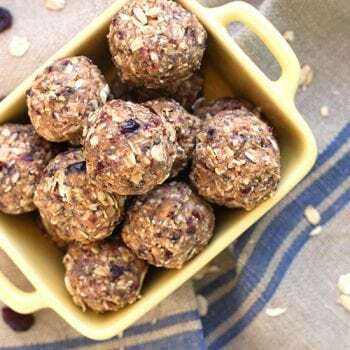 These little bites are full of healthy fiber, so even though they look small, they fill me up and keep me satisfied for hours! 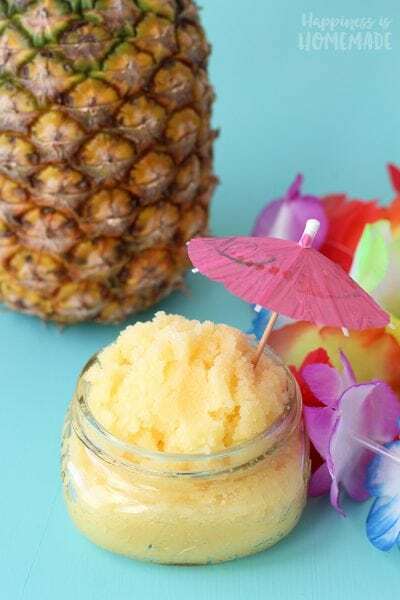 Place all ingredients except water into the bowl of a food processor (alternately, you can mix all ingredients by hand. If you mix by hand, roughly chop the cranberries into smaller pieces before mixing), and pulse until the mixture forms a crumbly dough. 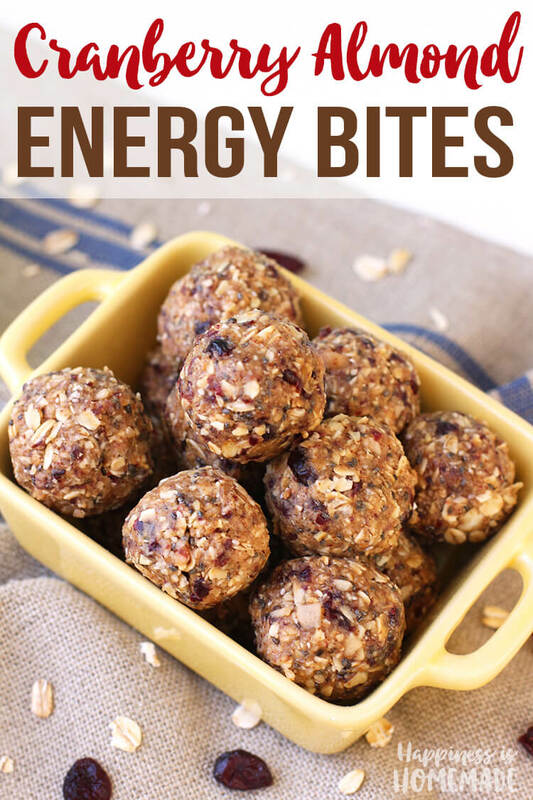 Use a cookie scoop to shape and portion the energy bites. Note: if the dough does not hold together when formed into balls, add up to 2 tbsp. of water as needed until they hold their shape. 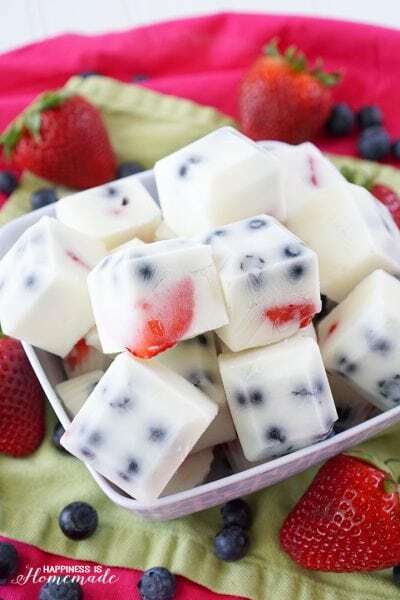 Store in an airtight container in the refrigerator for one week or in the freezer for up to 3 months. 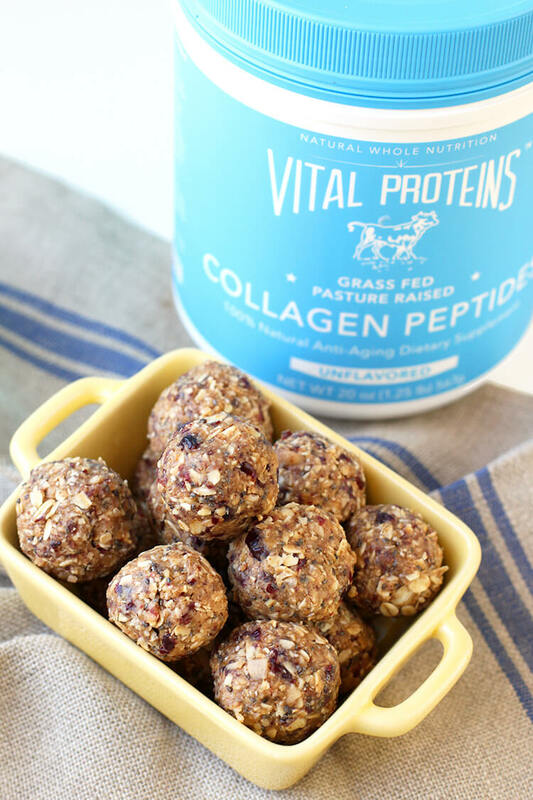 Vital Proteins Collagen Peptides adds extra protein to these energy bites with absolutely ZERO flavor or texture change. They’re not kidding when they say it’s completely tasteless and odorless! 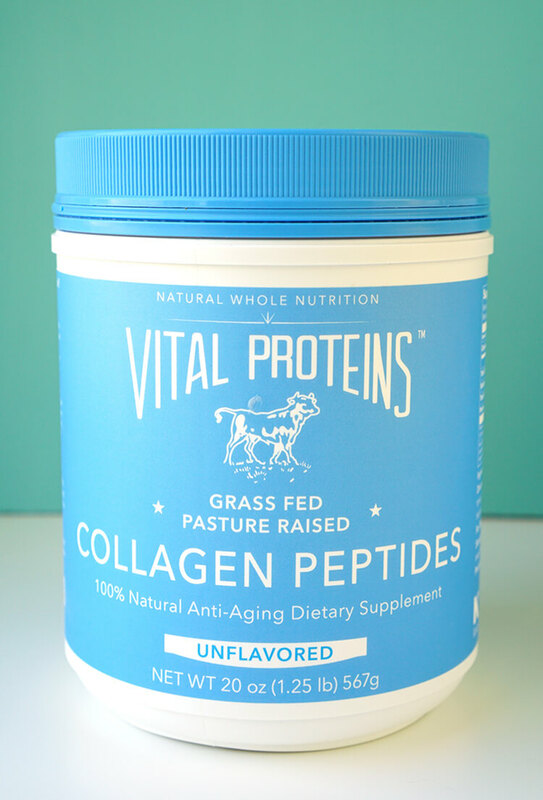 Not only does Vital Proteins Collagen Peptides add a boost of protein, but it gives you a healthy dose of collagen, an essential building block of skin, hair, nail, bone and joint health. 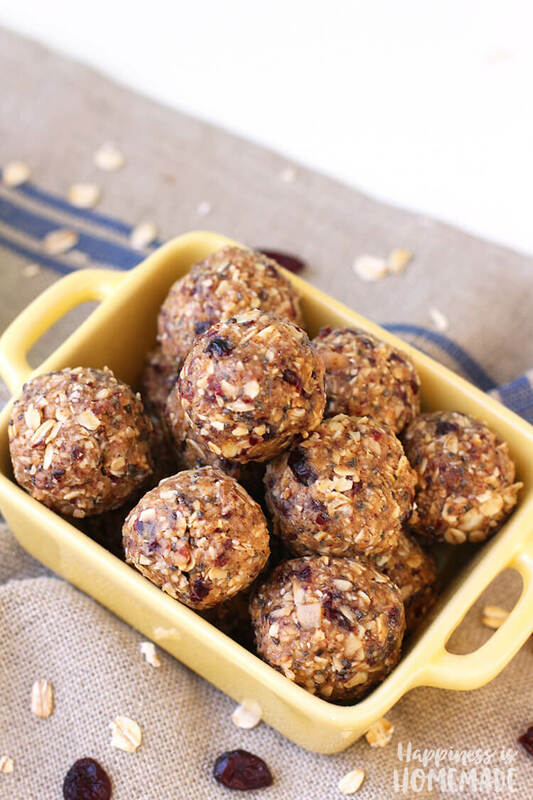 A nutritious snack that can help give me youthful skin, healthier hair, and stronger nails? Sign me up! 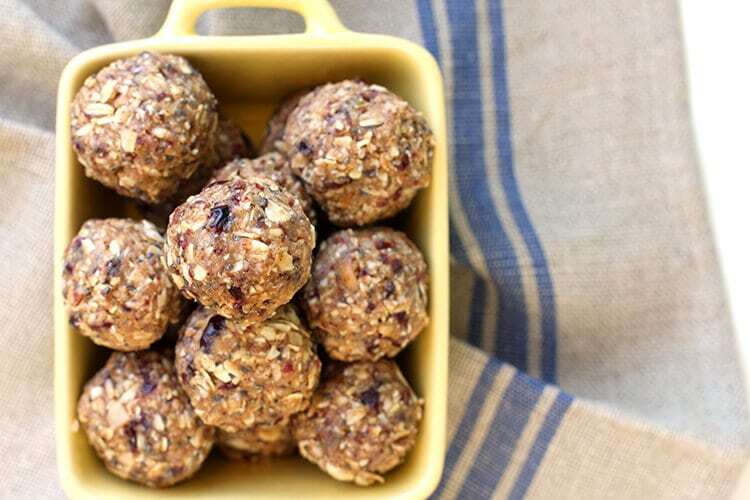 Cranberry Almond Energy Bites also make a great on-the-go breakfast as you’re heading out the door or a perfect after school snack for the kids! 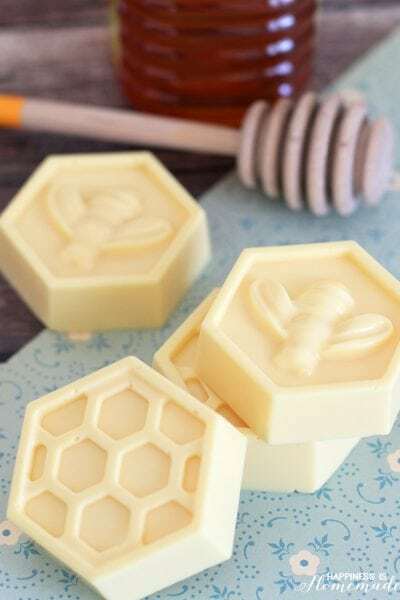 No matter when you eat them, they’re a delicious and nutritious treat that your whole family is sure to enjoy! Like this idea? 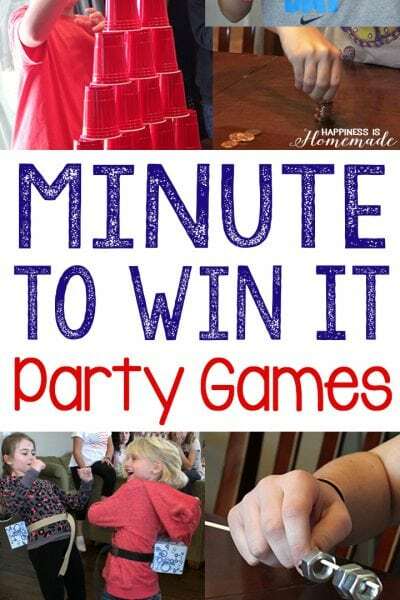 Don’t forget to pin it!